ANDREW FAIRBAIRN AFFLECK [1874/7-1936] British Artist. comprising 16 engravings and etchings of Gottingen, some by Gebruder Rocca, Letite Heller and E.L. R..
HENRY ALKEN [1785-1851]. British Artist. 7 Hand-Coloured Aquatints, from 'The Life of Sportsman by Nimrod','Considered by many to be the pre..
'The Park'. Shepherd and dog sitting by tree trunk, with flock of sheep in parkland. RICHARD ANSDELL [1815-1885] British Artist. Etching, on India Paper, numbered 5, from 'Selections of Etchings',Kenneth Guichard in 'British Etch..
Les Sources de l'Albarine (Ain). 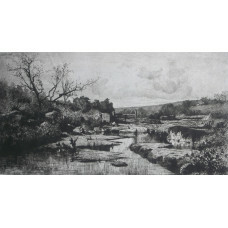 Landscape showing stream and trees, with ducks on rocks. ADOLPHE APPIAN [1818-1898] French Etcher. Etching, signed and dated in the plate, proof on 'Arches' paper, before all letters,..
5 Glass Lantern Slides of portraits and views of residences, from pictures and photographs connected with Arnold and his life. Descriptions, notes and sources of the illustrations, in ink, on paper surrounds.Evidently prepared ..
L'Oiseau Mouche violet a queue fourchue. Pl. 34. Humming bird. Etching, printed in colours, from 'Oiseaux Dores ou a Reflets Metalliques',Fine scarce French bird p.. Le Rubis-topase fle. Pl. 55. Humming bird. Hand-coloured etching, from 'Oiseaux Dores ou a Reflets Metalliques',Fine scarce French bird print o..
'Allied Generals Before Sebastopol' by C. G. Lewis. 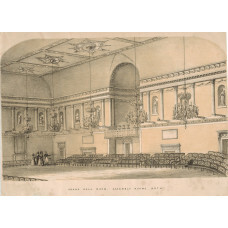 Mixed Method Engraving, Proof before title, Signed by Artist and Engraver in pencil, Printseller's A..
'Grand Ball Room Assembly Rooms, Bath', group visiting, room set out with chairs, chandiliers, sculptures in niches. 'Siegeszug' Triumphal March, some Arab soldiers on horseback with lances. Etching, from 'Zeitschrift f r Bildende Kunst, as issued on thick paper,..
'Lake Lucerne Switzerland'. Figures in traditional costume on hillside looking down on town and lake. "Chaire de verite dans L'Eglise St Andre a Anvers" by Billoin. 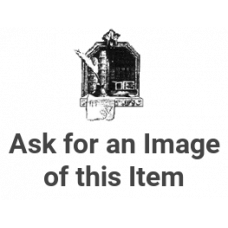 Lithograph,of an elaborate sculpture by Willemsens..
"The Carved Pulpit of St Baron's Church Ghent" "Chaire de verite de St Baron a Gand " by H. Borremans. 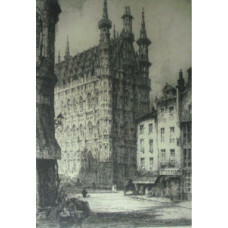 Lithograph, printed by P. Degobert, elaborate sculpture by L. Delvaux..